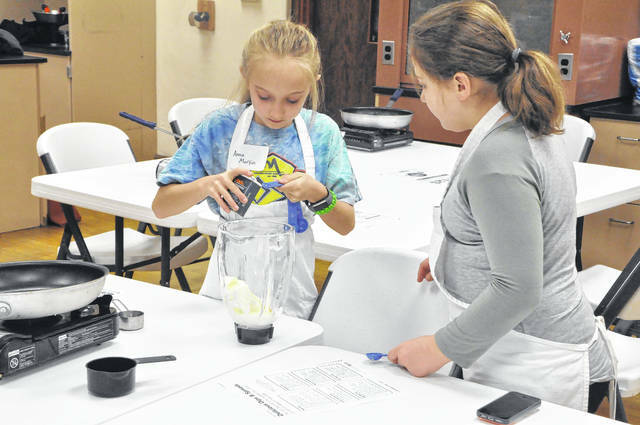 Ohio Wesleyan University senior Hallie Sinko (center in gray) teaches students how to make orange oatmeal pancakes in the Cooking Matters course during the United Way’s Strengthening Families Spring Break activities at Willis Education Center. Anna Martin and Ella Ries mix ingredients to create a yogurt fruit dip during the Cooking Matters course Tuesday. 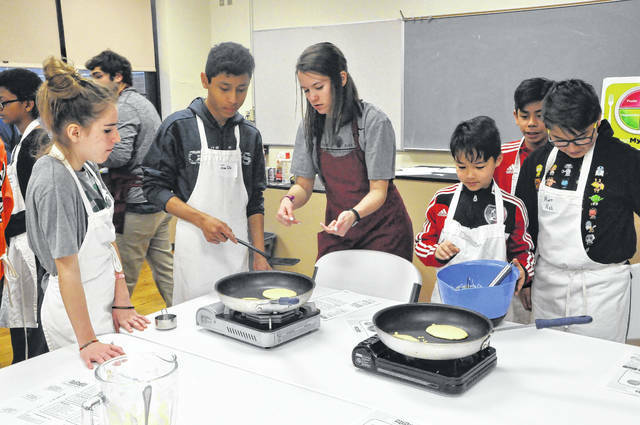 https://www.delgazette.com/wp-content/uploads/sites/40/2018/04/web1_DSC_1429.jpgOhio Wesleyan University senior Hallie Sinko (center in gray) teaches students how to make orange oatmeal pancakes in the Cooking Matters course during the United Way’s Strengthening Families Spring Break activities at Willis Education Center. https://www.delgazette.com/wp-content/uploads/sites/40/2018/04/web1_DSC_1420.jpgAnna Martin and Ella Ries mix ingredients to create a yogurt fruit dip during the Cooking Matters course Tuesday.